You know what it’s like. An innocent scroll through twitter. Liking a gif or two. Out of nowhere you flick past something that catches your eye. This happened to me, and was one those ‘buy immediately’ moments… You see, the Guerlain Shalimar collection (an Escentual exclusive) is an absolute must-have. I’ve been drawn to Guerlain perfumes for a while – they have such heritage to them, and they all seem so classic. In particular, I love Shalimar – it’s an intense, spicy showstopper of a scent. So, when I saw this collection – inspired by the glamour of the scent, I was so excited. Excited enough to order a terracotta bronzer (from the self-confessed pale girl). 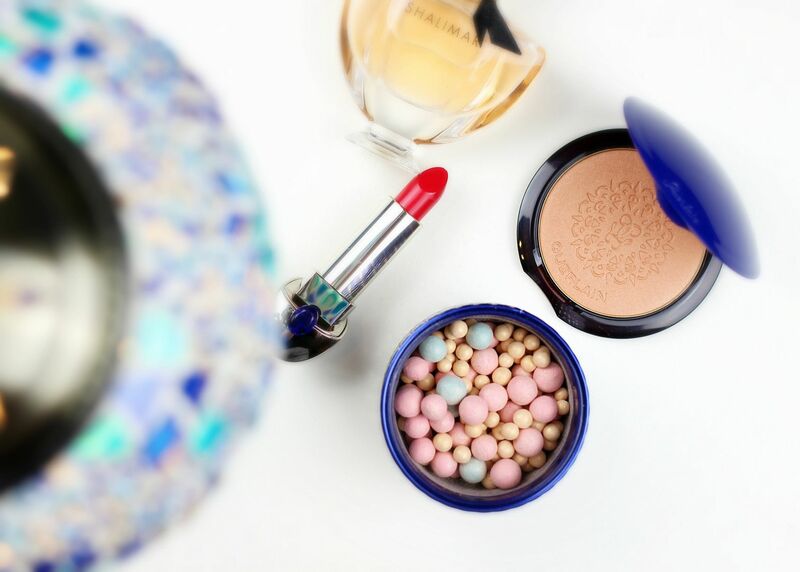 I think Guerlain bronzers are incredibly iconic, so this limited edition variation, housed in a royal blue shell is gorgeous. 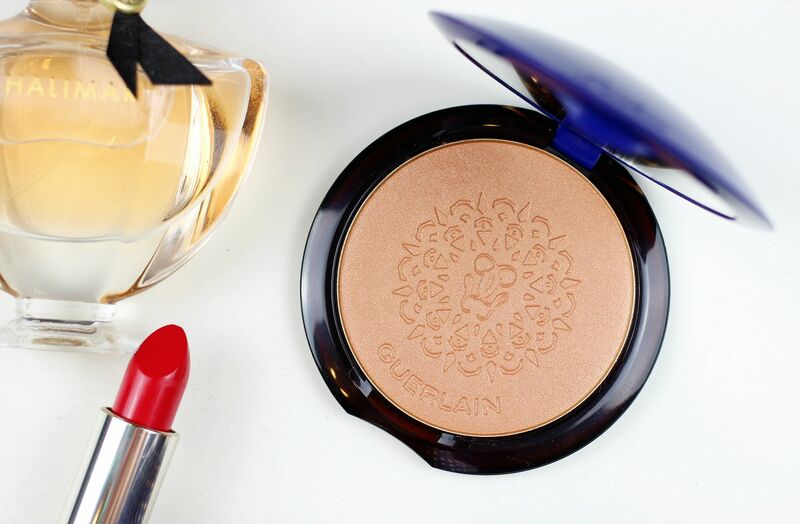 This bronzer is designed as a winter bronzer, so it’s a nice flattering shade. Nothing too orange! It’s actually making me excited to use bronzer. Groundbreaking stuff. Obviously, me being me, I had to get the lipstick on offer. This one is particularly divine, though. The Rouge G Lipstick in Rouge Saphir is like a little jewel. The packaging on this is everything (built in mirror! )- so so decadent. It’s weighty, it’s fancy and it’s incredible. The shade is nothing spectacularly different, but it is nice and glamorous. I’d say the formula is a little creamy for my tastes, but blotting it makes everything a little less smudgey. Lastly is the oh-so-instagrammable Meteorites Perles de Legende – so pastel, so pretty. 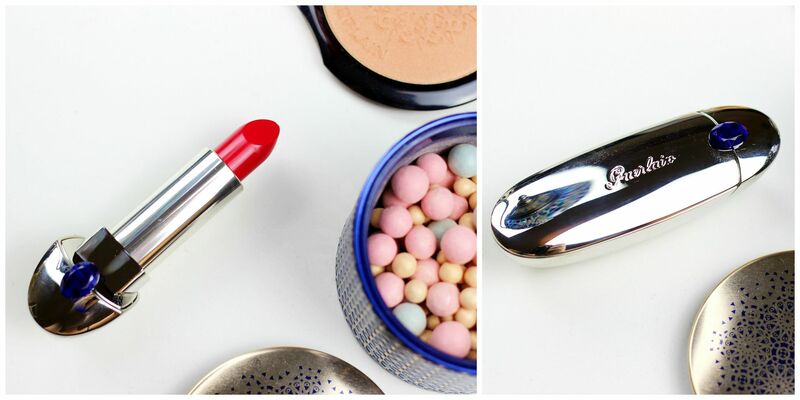 The Guerlain meteorites are pretty special in general, and these are even better. They have a beautiful distinctly ‘makeup’ scent – like powdery violets. Just looking at these in the morning makes me happy – definitely feels decadent swirling these all over the complexion. The powders give a nice sheen to the skin and definitely feel like a nice makeup ritual.